Canadian Heritage Breeds once again hosted two successful summer shows in 2017. The first was held in conjunction with the Red Deer Westerner Days Fair on July 23rd. 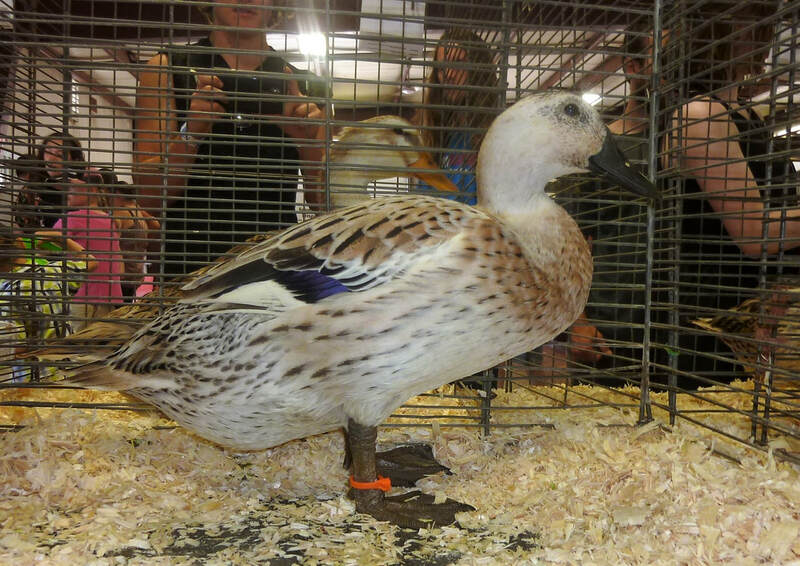 Vermilion Fair was held the following weekend, with a CHB poultry show taking place on Saturday, July 29th. Both events included Junior classes and Egg Shows. 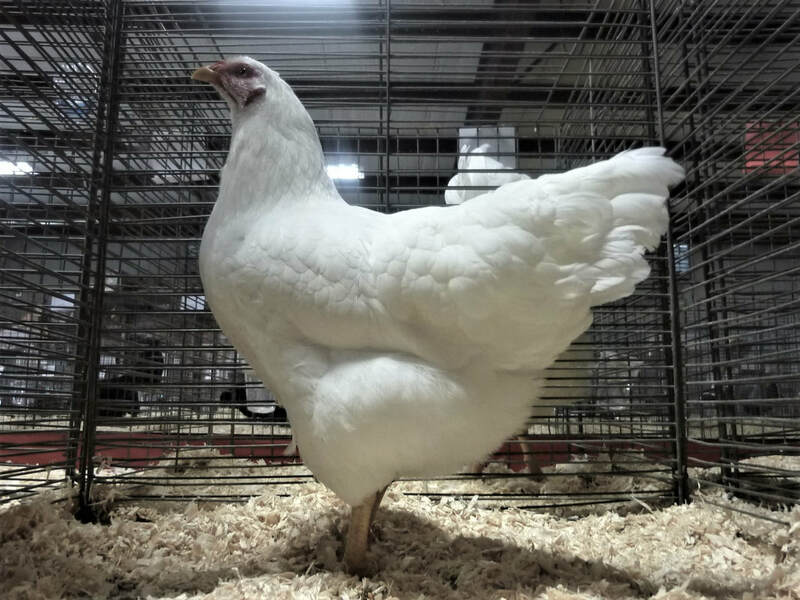 The CHB summer shows provide an excellent introduction to exhibiting poultry, and the APA certified judges at both shows were incredibly helpful, friendly and enthusiastic about sharing their knowledge with exhibitors! ​CHB President Kyle provided a poultry bathing and show prep demonstration after judging was complete. Judge Rico Sebastianelli gives a junior exhibitor some tips and advice. Still more learning opportunities! A local 4-H group gathered to hear Jim speak about Standard Bred Poultry, and the standards by which they are judged. 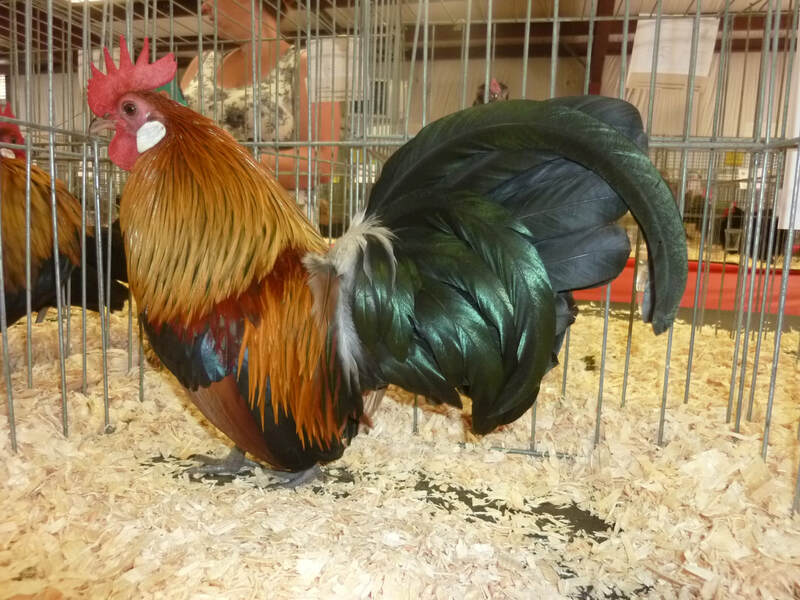 Champion Bantam - Light Brown Dutch cockerel by Silver Ridge Aviaries. 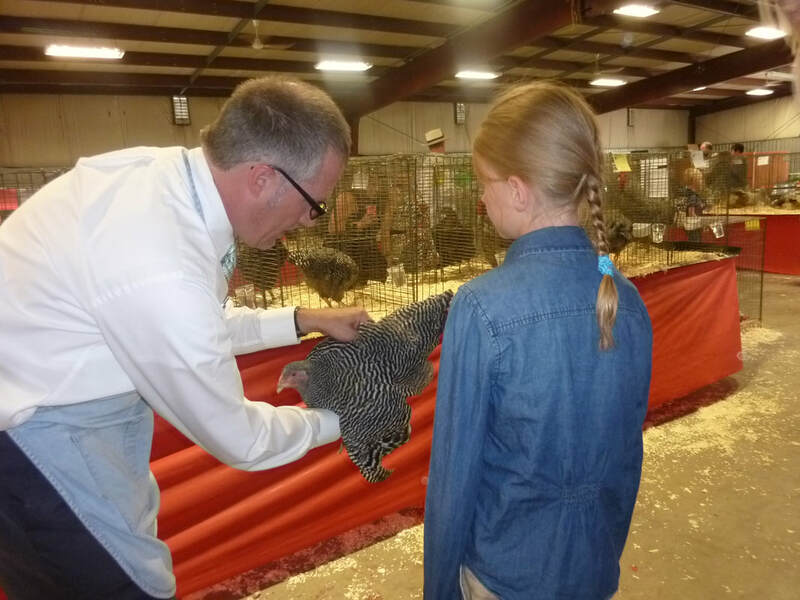 Judge Jim Adkins explains some of the finer points of Barred Rocks to a Junior Exhibitor.